What should exist are neutral, technical standards and protocols, like the standards and protocols for blogs, email, and the Web. Indeed, many proposed standards already do exist, but none has emerged as a common, dominant standard. Blockchain technology — the technology of decentralization — is perfect for this, but not strictly necessary. Common protocols would enable us to follow public feeds no matter where they are published. We would eventually have our pick of many different apps to view these feeds. We would choose our own terms, not Facebook’s or Twitter’s, for both publishing and reading. As things are, if you want to make short public posts to the greatest number of people, you have to go to Twitter, enriching them and letting them monetize your content (and your privacy). Similarly, if you want to make it easy for friends and family to follow your more personal text and other media, you have to go to Facebook. Similarly for various other kinds of content. It just doesn’t have to be that way. We could decentralize. 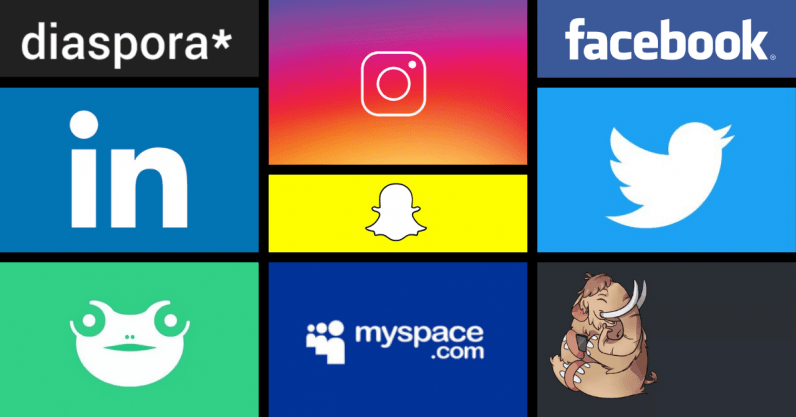 After all, the problem about replacing the giant, abusive social media companies is that you can’t replace existing technology without making something so much more awesome that everyone will rush to try it. And the social media giants have zillions of the best programmers in the world. How can we, the little guys, possibly compete? Create open data standards and protocols, or probably just adopt the best of already-existing ones, for the feeds of posts (and threads, and other data structures) that Twitter, Facebook, etc., uses. I’m not the first to have thought of this; the W3C has worked on the problem. It’d be like RSS, but for various kinds of social media post types. Just as the RSS standard spawned lots of “reader” and “aggregator” software, so there should be similar feed readers for the various data standards described in (1) and the publishers described in (2). While publishers might have built-in readers (as the social media giants all do), the publishing and reading feature sets need to be kept independent, if you want a completely decentralized system. In this way, while you might never look at Twitter or Facebook, you can stay in contact with your friends who are still there — but on your own terms. Create easy-to-use software that enables people to publish their Twitter, Facebook, Mastodon, Diaspora, Gab, Minds, etc., feeds via the common open data standards. The big social media companies already have APIs, and some of the smaller companies and open projects follow standards, but there is no single, common open data standard that everyone uses. That needs to change. The exciting thing about this plan is that no critical mass seems to be needed in order to get people to install the envisioned plugin. All you need is one friend whose short posts you want to see in your Twitter feed, and you might install a plugin that lets you do that. As more and more people do this, there should be a snowball effect. Thus, even a relatively small amount of adoption should create a movement toward decentralization. And then the days of centralized social media will be numbered. We’ll look back on the early days of Facebook and Twitter (and YouTube!) as we now do the Robber Barons. I would love to see the various competitors of the social media giants settle on a common standard and otherwise join forces on these sorts of projects. If they do, it will happen, and the days of privacy-stealing, centralized, controlling, Big Brother social media will soon be behind us. We’ll return to the superior and individually empowering spirit of the original Internet. We have to do this, people. This is the future of the Internet. Even if you’ve given up social media, we should build this for our friends and family who are still toiling in the digital plantations. Update: A few sentences have been edited to make it clear the issue isn’t that no platforms use an open data standard, it’s that none of the standards enjoy mass adoption (e.g. being used by other platforms).